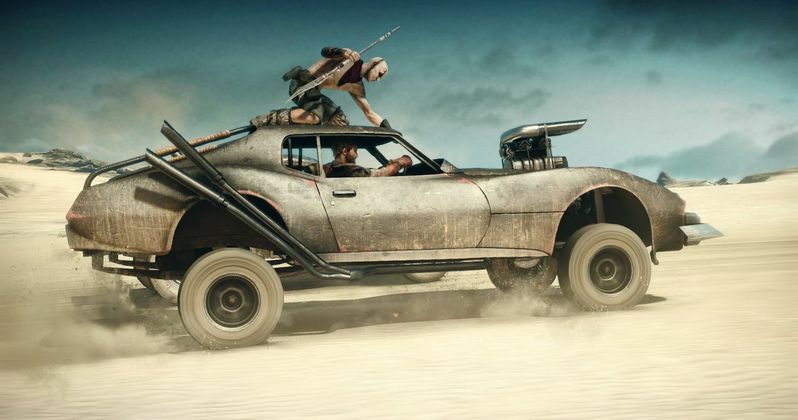 Back in July, we showed you a number of photos from the Mad Max: Fury Road set, that showcased a number of the huge, stylized vehicles being used in director George Miller's new action-thriller. Today, we have a production video that showcases some of these massive vehicles in action. While it isn't known exactly what purpose these enormous cars and trucks serve on this futuristic adventure, check out the video and speculate for yourself. We reported in December that production had finally wrapped after an extensive six-month shoot, so hopefully that first trailer is just around the corner.